Offered in 3, 4, 5, 6, 8, 10, and 12 in. sizes, Inca Core Plugs are produced usingÂ proprietary molding process combining hard and softwood wood fibers with synthetic resin. Engineered presswood molding uses high heat and pressure to ensure consistent size and shape. Resulting fiber structure exceeds industry standards for damage resulting from compression, side impact force, and moisture. Smooth, durable surface ensures safe insertion into rolling cores and facilitates removal for reuse. 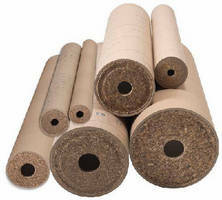 VIENNA, Ohio, – Litco International is offering new sizes of molded wood (presswood) core protection plugs to manufacturers and converters of paper, plastic film and metallic foils. Core plugs are commonly used to prevent damage caused when paper rolls shift during transit. Litco has historically offered core plugs in 4", 8", 10", and 12" sizes. New 3", 5", and 6" sizes are slated for production in the second quarter of 2014. Litco's Inca brand core plug is produced using a proprietary molding process combining hard and softwood wood fibers with a synthetic resin. The engineered presswood molding uses high heat and pressure to ensure consistent size and shape. The resulting fiber structure creates an extremely strong plug exceeding industry standards for damage resulting from compression, side impact force, and moisture. The smooth, durable surface of Inca core plugs ensures safe insertion into rolling cores and easy removal for reuse. Presswood core plugs are cost-effective alternatives to molded plastic, MDF, and plywood composite core protection plugs. The decision to make significant investments in new core plug tooling was driven by customers seeking more choices, both in terms of available vendors and sizes. According to Gary Sharon, Vice President of the Molded Products Group, "Our customers are seeking reliable vendor delivery times, competitive pricing, and a wide selection of materials and sizes. By offering a full range of plug sizes manufactured from two plants located in Sardis, Mississippi and Dover, Ohio, we can now deliver better value to our customers in the pulp and paper and converting industries. Litco is now uniquely poised to serve customer needs by offering core plugs in all industry standard sizes ranging from 3 inches to 12 inches." To learn more about our complete line of core plugs, contact Litco International toll free at 1-800-236-1903, visit our e-commerce enabled website at www.litco.com, or browse our presswood core plug section at http://www.litco.com/core-plugs/molded-wood.html. Litco International, Inc. specializes in load securement solutions, including core plugs, pallets for domestic and export shipping, and dunnage designed to Carry your products safely on through the most demanding supply chains. Litco was established in 1962 and ships from facilities located in Dover, Ohio; Warren, Ohio; Sardis, Miss. ; and Wellford, S.C.
Read more news from Litco International Inc.